Earthen lamps adorn the ground, while bright multihued crackers light up the night sky. Diwali or Deepawali, the festival of lights is one of the biggest festivals in Hinduism, with major celebrations in India, Canada, Trinidad, Guyana, UK, Fiji, United States and other countries around the world. The festival is celebrated for two days between mid-October and mid-November (depending on lunar movement). The Hindus celebrate it with great pomp and joy. They light their houses, courtyards and backyards with earthen lamps or diyas. They perform Laxmi Puja in the evening and seek divine blessings of Goddess of Wealth. 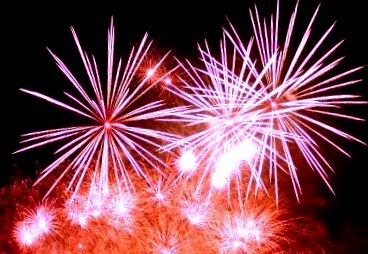 Fire rcrackers, sweets, exchange of gifts and even gambling are very important part of the celebrations. The Hindus have more than one reason to celebrate Diwali, the most prominent one being the return of Lord Rama after rescuing his wife from the clutches of Ravana. According to the great epic ‘Mahabharata’, it was ‘Kartik Amavashya’ when the Pandavas appeared from their 12 years of banishment as a result of their defeat in the hands of the Kauravas at the game of dice (gambling). Hindus also celebrate the birth of Goddess Lakshmi during this festival. Some also believe that Lord Vishnu in his fifth incarnation as Vaman-avtaara rescued Lakshmi from the prison of King Bali on Diwali. 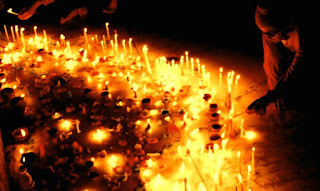 Diwali holds significantce for the Sikhs, Jains and Buddhists as well. According to the Jains, Diwali marks the attainment of moksha or nirvana by Mahavira in 527 BC. It is believed that the chief disciple of Mahavira, Gandhara Gautam Swami attained complete knowledge i.e. Kevalgyana on this very day. More reasons to celebrate. According to the Buddhists, Emperor Ashoka took his voluntary retirement from a reign of power, and converted to Buddhism on the auspicious occasion of Diwali. Therefore they sometimes refer to Diwali as Ashok Vijayadashami, decorate their temples and monasteries, chant Mantras and remember the great emperor Ashoka on Diwali. For the Sikhs, Diwali celebrations follow the celebration of Bandi Chhorh Divas – the day of freedom, celebrating the release the Sixth Guru, Guru Hargobind Ji and other 52 princes in 1619. The Sikh tradition holds that the Emperor Jahangir had imprisoned Guru Hargobind Ji and 52 princes. Emperor Jahangir agreed to release Guru Hargobind Ji but put a condition that only those who could hold onto his cloak tail would be allowed to leave the prison. He was under the impression that such a move would restrict the number of princes to be released. Guru Hargobind Ji, the smart dude that he was, got a cloak designed with 52 pieces of strings, made his 52 princes hold on to them and walked out as Emperor Jahangir watched with his mouth gaped wide open. Quoting the McDonald’s famous punchlinen here ‘I’m loving it’. Sikhs celebrated the return of their Guru by lighting the Sri Harmandir Sahib (Golden Temple) and this tradition continues today. The name “Diwali” is a contraction of “Deepavali”, which roughly translates into “row of lamps”. While the story behind Deepavali and the manner of celebration varies from region to region (festive fireworks, worship, lights, sharing of sweets), the essence is the same – to rejoice in the Inner Light (Atman) or the underlying Reality of all things (Brahman). Traditionally, Diwali is celebrated across 2 continuous days. On these auspicious days, people light up diyas and candles all around their homes and businesses; although with a huge population settled comfortably in urban domiciles earthen lamps and candles get replaced with electronic products like neon lights and LED displays. A horde of marketing offers, cultural shows featuring Bollywood stars and film releases also accompany Diwali celebrations in India. Diwali frenzy reaches fever pitch in India this year with the release of the much awaited Indian superhero flick, Ra.One, starring Sharukh Khan, Kareena Kapoor and Arjun Rampal in the lead roles. A few days past that India will witness it’s first ever F1 racing event, followed by… hold your breath - a Metallica concert! with the metrics that show your visitors and interaction scores. Most people can't be bothered typing in a long and complex web address. You just know they are having nights of wild passion on the beach.